Please join us on Saturday July 28, 2018 for the 2nd Annual Battle on Buffalo 5K at Delaware Park in Buffalo, New York. The event honors the memory of Dr. Linda Brodsky and supports her passion for gender equity. Funds raised from the event will be donated to the Linda Brodsky Memorial Fund and the American Medical Women's Association. All with the goal to support initiatives promoting gender equity in medicine! The race will start and finish near the Buffalo Zoo at Delaware Park. Race organizers will be using the Road 2 Recovery 5K USATF Certified Course NY12090JG. Online registration will remain open right up until the start of the race. Race day registration and packet pickup will take place from 8:00am until 9:00am. Drawstring bags will be provided to the first 200 participants. Join us after the race for a post race celebration including light food/snacks, refreshments, and the awards ceremony! There is plenty of free parking within a short walk of the Buffalo Zoo and Delaware Park. 14 and under, 15-19, 20-29, 30-39, 40-49, 50-59, 60-69, 70 and older. For additional information on the race contact Stacey Watt at 716-878-7735 or via email at staceywattmd@yahoo.com. 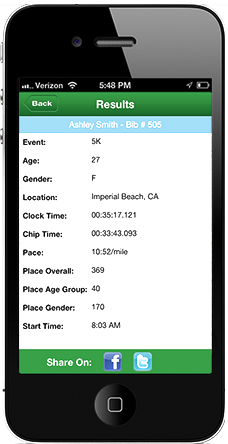 Race participants can also use the ITSYourRace platform to view and share finish line photos with family and friends for free on Facebook. Custom finisher certificates can also be downloaded from the results page at no charge!